Got a morning text from our Company Manager. She wants me to see Taaj right away instead of waiting for Friday. I agree and the appointment is made for 6:05 in the evening. 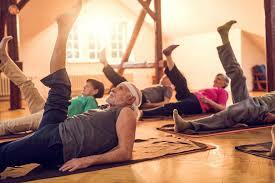 It’s raining in the morning and I broke fast on hard boiled eggs and cottage cheese after opting to skip yoga. My leg is still sore and I am really afraid of doing more injury. Today the company gathers at the Theatre at 1:45 so we can rehearse and refine some scenes. The rain subsided and the crew went at the deck with big squeegees with a vigor that got the stage into a playable state in a matter of minutes. Our director gave us some notes on the 2nd preview and exhorted us to trust him, the story and Shakespeare himself. The next step he is rallying us to take it the biggest step, and that is to play with our hearts, to stop thinking and start reacting to stimuli both real and imagined, to passionately convey our ideas. I know what he wants. We all know. He is asking us to cross into the realm of Shakespeare on stage that one might describe as “the zone”. Golfers go into the zone, so to do basketball players, singers, ballet dancers, the list goes on. In all these cases the performer is striving to take thought out of the process and just “do it”! In the world of hi performance fighter jets it is an article of faith that an aviator in combat will not “rise to the occasion” but will instead default to the level of their training. I can’t speak for any of my colleagues. For myself, going into the zone, or playing from the heart or whatever else you want to call it, starts with being absolutely stone cold solid with my lines. A fraction of a second of doubt about lines is all it takes to break the spell. Next I must be completely clear about what I’m trying to say, about the ideas I want to express with the words I know so well. Words spoken without strong ideas attached are just recitation. Third, I need to feel comfortable in the space and in my clothes. An unfamiliar space or an ill fitting costume are like someone farting during the sermon in church. When all of these pieces of the puzzle are in place then the circumstance is right for that magical transcendance. Whether or not it actually happens is another matter altogether. With lines, ideas and physical setting in place a good performance will always take place. Sometimes that magical transcendent performance in the zone happens and it’s happening before you realize it. To have one of those performances a week is a great blessing. I’ve been studying my lines religiously, I know what I want to say, and my Toni Leslie James costume fits me like a second skin. If my leg holds up I’m in a good place to have some magic happen to me. The consult with Taaj went really well. Turns out I just pulled my calf muscle and did not tear it or damage it is a gross way. No tendons are involved and ice, heat, ibuprofen and mindfulness in movement would be enough to get me back to 100% in a week. The peace of mind her assessment and subsequent massage provided me made me feel much better. I immediately texted Liza Witmer with the news and strolled over to the Theatre in time for vocal warm ups. Knowing my leg was not badly injured really put my mind in a good place. My voice felt strong and resonant during warm ups, and afterwards I tested my leg on the set, and on the ladder I must climb up and down. There were no problems. I did some pushups on stage and retired to my dressing room to get dressed. Wardrobe team had everything in place for me and I dressed in two stages. First the underwear and trousers, then I went over to the sound team to have my body mic taped on. Mic in place I finished dressing and sat down to review my lines. At this point it is a mental process that involves closing my eyes and imagining the actions and words that I go through in my scenes. I effectively play out my role in my minds eye. There is a dual benefit in that the process is very meditative. When my cue came for my first entrance my leg felt tight but did not hurt. My scene partners were energetic and passionate, I matched and exceeded their energy and excitement and the scene built to a crescendo. I came down the ladder and the dresser was there, I didn’t even look back as I put my arms out and felt the sleeves of my costume being pulled over them. I was seeing the scene about to be played in my head for a moment and listening for my cue, when it came I hurried onto the stage with the news that my daughter had disappeared from the house. I was panicked, upset, confused. It was inconceivable to me that Desdemona would leave me and go to the arms of the Moor Othello. I gathered my kinsmen and servants together to confront him at his lodgings in the Sagittary. We found him there and I shouted my accusations and charges at him, but there was a delegation there from the Doge of Venice. Othello had been summoned to appear before the Doge and the council and it was certain that I was called for as well. I decided to take my case directly there. At the council I demanded that the Doge and my fellow senators address my complaint about the abduction of my daughter by the Moor Othello. I present my case to the Council. Othello makes a persuasive rebuttal. Finally Desdemona arrives and settles the question by explaining that she loves Othello and went to him willingly and eagerly. I’m heartbroken. I retroactively consent to the match and then retire to my seat in the senate. Talk turns to the business of state and the Doge dismisses us. As I leave I warn Othello that Desdemona’s betrayal of her father may be a harbinger of a future betrayal…of him. I leave the stage and by the time I get to my dressing room I realize that I really played those scenes from the heart; that I was very firmly “in the zone”. It was like finding treasure, or hitting the lotto, or falling in love. It was a blissful and fleeting feeling. To get a magic performance like that on the 3rd preview is a good sign indeed. It is an article of faith among Theatre folk that the second night of a show is always a little off. I’m not sure if that is true. What I can say for certain is that every performance is different. Each time the lights come up on a show it is a singular experience. Last night was different from our first, and tonight will be different from the other two. One thing that was different last night was that I suffered a minor injury. While climbing one of the steep ramps up to the stage I felt a sudden and very painful twinge at top of my left calf, near the knee. It was felt very much like a torn muscle I suffered two years ago while performing in Troilus and Cressida in the Delacorte. I was entering into a scene and was unsure of my mobility. I was literally testing to see how much I could walk while playing a scene with Othello. I got through the scene and limped off stage. I immediately informed stage management and prepared for my next entrance, and when the cue light went off I was limping back up the ramp where I had suffered the injury only minutes before. I decided to start my entrance early as I needed extra time to get up the ramp and onto the stage and across to center stage to start the scene. In the scene I’m required to make a graceful circuit around the stage and my attention was on the knot of exquisite pain in my leg while the words and ideas of the story were finding their way through me to the audience. I was trying not to limp and having a bit of success. I got through the scene and got off stage. I had a blessed 15 minutes before my next entrance and used the time to ice my calf and down some ibuprofen. 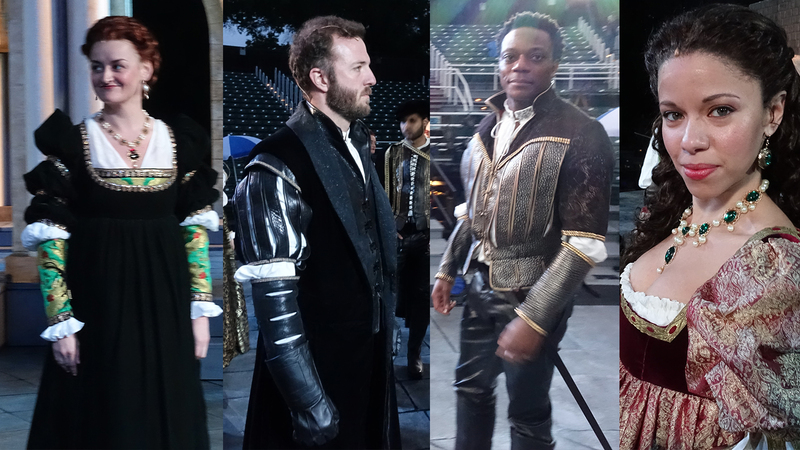 I got through the rest of the show and pulled together with the rest of the company to put on a great second performance of Othello at the Delacorte Theatre. The audience was on their feet at the end. As ever the show was different. The raccoons did not make an appearance. My character Brabantio was not as passionate as usual, the character of Emilia was more outraged and heartbroken at the death of her mistress Desdemona. The beautiful Desdemona fought harder and longer to survive the wrath of the Moor Othello, and Othello was more horrified at what he had done. The villain Iago was more charming and more deadly than ever. We are all developing and evolving. Afterward I joined the actress Kate Skinner and our PSM James Latus for wine and snacks and shop talk. My leg was throbbing but it didn’t feel badly injured, only sore. Company manager Liza Witmer had arranged a Friday appointment for me with the physical therapist Taaj Jahara whom I’ve consulted with before and who has a healing gift to go with her encyclopedic knowledge of the human anatomy. Kate and James and I told stories and laughed into the night. Alas, many of the stories were about friends and colleagues who have passed away. I guess that is what comes of a life in the theatre. Hell that is what comes of life itself…death. When we were all properly wound down embraces were made and cheeks kissed and we went our separate ways into the night. I got a Bike and pedaled slowly home. We had put a second show behind us. But the adventure is not complete. It’s just starting. For the 1800 people sitting in the house last night a performance in the Delacorte begins with an announcement by Public Theatre Artistic Director Oskar Eustis. His remarks include thanks to our sponsors, a mention of the fact that our performances are free to the public and a very clear statement: “everyone is welcome here”. As his message comes to a close the overture music begins and the story begins. For the company the proceedings get going an hour earlier when we gather on stage for vocal warmups lead by Julie Congress, our voice and speech consultant. Then we take a moment on the stage, moving, stretching. I like to do a dozen or so slow and very deep pushups. Then the stage is given to the players who will be acting out scenes of violence. This moment is called the “fight call”. Before every show every “fight” is rehearsed in order to insure that all participants are clear on what is to be done. This is very, very important. Staged swordfights, punches, kicks and slaps are exciting and lend to passionate telling of a story, but they are inherently dangerous and can lead to injury if not performed properly. After the fight call, the players retire to the dressing area and at 7:30 PM the production stage manager calls “half-hour”. it is now 30 minutes to curtain. The entire company should be present and Assistant Stage Managers check the sign in sheet to be sure. During half hour we get into costume, and makeup, have our microphones fitted and taped into place. Some of us are donning wigs. At around 7:45 the PSM calls “house open” and soon we hear the hum and buzz and bustle of nearly 2 thousand souls as they enter the theatre. At the 10 minute call we all start to focus, especially the beginners, the players in the first scene. By this time we are all prepped and ready to go to work. The overture starts and my eyes turn to the cue light. When the light comes on that means, “get ready” when it turns off that means “go!” The little green bulbs go dark and I stride onto the stage for our dumbshow. Most theaters seem smaller once they are filled. The Delacorte is quite the opposite. When I walk onto that enormous stage and see 1800 faces all looking in my direction the Delacorte seems like it has doubled in size. The twilight sky overhead is filled with scattered light, the music is lush, my cast-mates, beautifully costumed and floating this way and that. It is a glorious sight that most civilians will never see, and likely never want to because an audience is a terrifying thing more most people. The first public performance of Othello last night was a huge success. The audience laughed and gasped and were rapt as the story unfolded. They broke into applause as one of the Delacorte raccoons made an appearance, attempting to upstage our Othello, the amazing Chukwudi Iwuji. This was the night that we played with all our hearts. We offered the deepest part of ourselves to an audience of strangers and those strangers accepted our hearts, our souls, and our story with grace and gratitude. It was glorious. First preview complete. The journey continues. One thing we all understand is the term “Dress Rehearsal”. It’s a Theatre term that had become a part of our everyday vocabulary. We all know what it means, or what it seems to mean, and that is the last rehearsal before opening, a rehearsal with all props, lighting, costumes, wigs, makeup, and music, but no audience. This is true, and yet this is only a part of the story. Final dress rehearsal is a test of all the physical aspects of the show. It is also a chance for each performer and crew member to get a sense of their journey from lights up to curtain down. A case in point is two quick changes I must do in the first 5 minutes of the play. At the top of the show we have a “dumb show” that is, a scene that is acted out without words, and only with music underscoring the action. A traditional dumbshow was the silent and very brief acting out of the action of play, but in our case it is an introduction of all the characters in the play that we achieve by watching them walking on the streets of Venice in their costumes. My costume is big and lush and complicated and during my overture cross I get to show it off a bit, but the moment I am off stage a wardrobe tech is standing off stage waiting to remove the large coat, doublet, and hat and leave me in a nightshirt and breeches. I then climb a very high ships ladder and wait to have a scene with Iago and Roderigo. I play the scene on the roof of my “house” in Venice and when it is done I have 8 lines to back down the ships ladder, put on my coat and doublet, don my hat and hit the stage running. The wardrobe tech, Amanda, works smoothly and quickly and if I manage a brisk but safe trip down the ladder then I can make my entrance on time, but only just barely. Dress rehearsal was my last chance to practice this offstage move in performance conditions. Off stage moments tie directly into moments onstage. If an offstage action goes pearshaped then a performer will hit the stage carrying that moment with them, often this can skew the progress of the storytelling. Dress rehearsal is as much about backstage as onstage. Our final dress rehearsal was a big success. The way we have put the show together works. We even had the luxury of an invited audience, which allowed us to experience audience reactions for the first time. We got some unexpected laughs and some very profound silences from our small audience of friends. There was one woman who cackled loudly at all sorts of strange places. It’s important to know where folks will laugh because it is good practice to “hold” for laughs. That means to pause briefly until the laughter begins to subside before continuing a line. This is necessary so that the story’s clarity can be maintained. But it’s important not to anticipate a laugh and then be caught holding for a laugh that does not come. Every audience is different, what one finds funny the other might weep at. Tonight we have our first public performance. We call it a preview because it is happening prior to our official press opening. Well that is all logistics. Tonight, we will have customers in the seats and they are expecting a good show. We will give it to them, and have a lot of fun doing it. Tech rehearsal is likely a deep mystery to civilians. I say this because it is often a mystery to actors. The mystery lies in the long pauses in rehearsal when actors are asked, by a god-like voice over the public address system, to hold their positions while the lighting, sound, stage management and various other teams “build a cue”. During this time the lighting will flicker, muffled voices will be heard at various places around the theatre, Assistant stage managers and Props runners, wardrobe assistants, and other experts will scurry about and then after a few, and sometimes many, many minutes the amplified voice of the Production Stage Manager, who is perched high up in the audience space will intone, “please continue”. As a young actor I dreaded technical rehearsal. I found it boring and pointless. I’ve learned much since. At any given moment in a modern theatrical production, while the players on stage are telling a story, an entirely different story, complete with cues, lights, choreography and precision timing is unfolding backstage. The crew backstage has positions they must assume and actions they must perform and are constantly on the move in time with the play onstage and under the direction of the Production Stage Manager. Technical rehearsal is the time that is spent putting together the parallel story that supports the onstage story. For a big show like ours technical rehearsal takes a week. 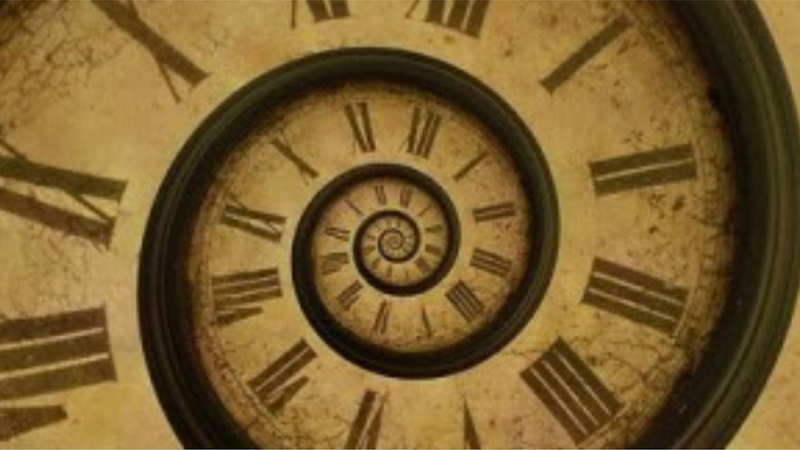 Of course, the more tech needed to tell a story, the longer the technical period must be. I don’t know this for a fact, but I would wager that the new Harry Potter show on Broadway went through a month of tech rehearsal. What many folks don’t know is that the crew will sometimes conduct technical rehearsals without the acting company present in order to hone their timing and coordination on actions that the onstage company are not involved in. The competence, and expertise of the crew has a direct effect on the quality of a show. I’ve seen and performed Shakespeare plays in parks and outdoor spaces from Maine to Los Angeles. 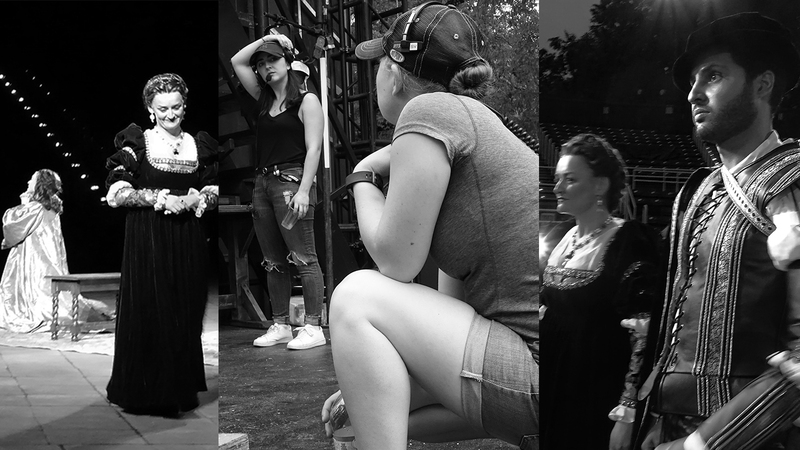 Some productions were better than others but none were mounted with the polish, professionalism and attention to detail that is applied to a summer production at the Delacorte Theatre in Central Park. A park show is produced using the finest equipment, the most accomplished designers, engineers and artisans, the most experienced management team and creative decision makers, and a cast of world class actors. Why? Because we are in New York City. 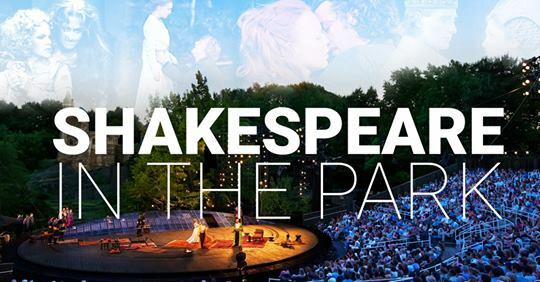 People come to this town from all over the world and when they spend a day here, queued up to receive free tickets for Shakespeare in the Park, they are rewarded with a show that they will remember for a long time to come. We are coming to the end of Tech Week. During that time we have been keeping sharp, running lines, going over blocking, using our time on stage to insure that the entire audience can see the action. Tomorrow night is final dress rehearsal. Then a day off, and then….first preview. What that means is, first public performance. After a final run thru on Saturday we took two days of much needed rest. We took the time to recover from 6 days of demanding rehearsal and prep, and also to charge up our energy reserves for 6 long days of technical rehearsal, two of which are to be “ten for twelve” days. all the other days will commence at 2:00pm and end at midnight. Last night was our first night on the Delacorte stage. We were slated to rehearse in the afternoon but rain kept us in our dressing rooms. After the dinner break the weather improved and we donned our costumes and wandered out onto that historic playing space. It felt so good to be back, looking out onto all those seats, 1800 of them, knowing that most or all will soon be filled with people from all over the world who have come to central park to experience a moment they have heard about, read about, and perhaps even dreamed of. Dreams will be coming true on stage and off. There are several Delacorte veterans in the company and a host of first timers. All of us have dreamed of walking this stage. That is why we are here. Our costumes, under the lights look fantastic. We’re all arrayed in silk, gold brocade, linen, polished wool, velvet, leather and fur. These days the fashion is to mount Shakespeare productions in just about any period BUT the Elizabethan. 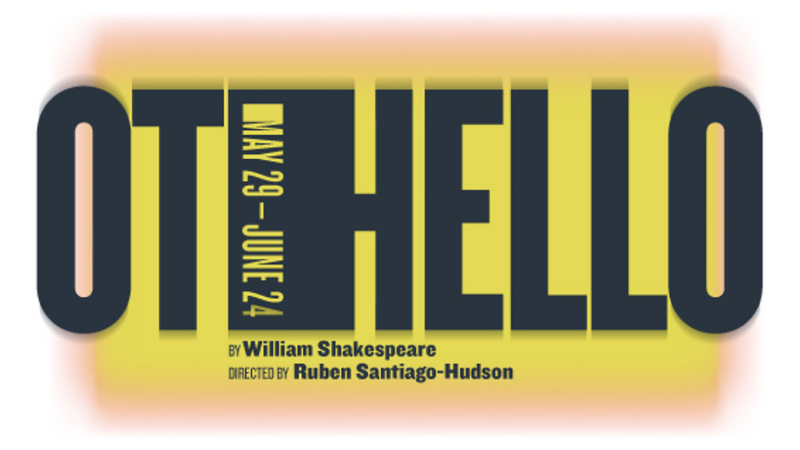 Our Othello has a definite, “old school” look to it. It’s a refreshing return to a somewhat ignored style. The set is spare and grand, two rows of gothic arches fashioned to look like cut stone. It’s a big set, that is clearly meant to contain big, beautiful and truthful storytelling. The scale of the set is such that we need our big sumptuous costumes in order to be seen by the audience. Backstage as we waited for the weather to turn, we took to story telling and reminiscing. A number of colleagues have left us in the last year or two. That very afternoon a memorial was being held for the late, great Reg E. Cathey, who passed away earlier this year. Many of us wanted to go but could not due to rehearsal. Reg would have understood. We all understand that the work comes first and that no goodbye is forever. It’s likely we’ll see Reg, Tommy Derrah, Margaret Whitton, and a whole cast of longtime players on another stage, on another plane. We’ll tell more stories together, stories that don’t need to be heard, or seen, only felt. We hit that stage with energy and zest and even though we were in new clothes, in a new space, being stopped and started and paused and restarted we elevated the telling of the story. Our nature is to play a space and this space demands our best playing, those empty seats were 1800 question marks behind a single question to which our company holds the answer. We were giddy with the power of that first night on stage. There is much work to do though. Many more discoveries to be made. Just before a company takes a show to the Delacorte for technical rehearsals there is a run thru of the play for an invited audience of tech department heads, upper management and, of course, Oscar Eustis. 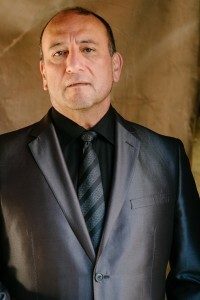 Oscar is the Artistic Director of the Public Theatre. Oscar is a big, bearded garrulous man who is deeply committed to Theatre and who is blessed with a gift for getting others to buy in to his enthusiasm for putting on first rate shows. He was given a seat, dead center and provided with a script on a music stand that he might refer to and she leaned forward and gave our run-thru his full attention. He laughed at the funny parts, winced at the violent parts and made notes. The other department heads seemed totally caught up in the story and we all felt like it went really well. This is not to say that we are in any way ready for an audience. No, no, no. What we have done is proved our concept and invited the technical department heads to look at what we are bringing to the Delacorte next week. What we are ready for at the moment, is technical rehearsals. Tech Week is when the emphasis is placed on lighting, sound, stagecraft, costumes, music, transitions, props and all of the other aspects that make our story into a full scale theatrical event. It is a long and demanding process. We will be at the Theatre from 2:00PM to Midnight all week. The crew will have even longer hours. 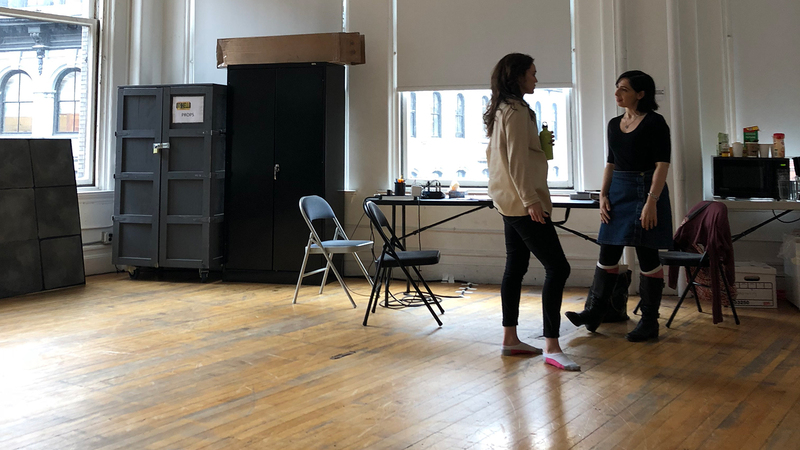 Experienced actors know that there will be hours and hours of waiting as the various tech departments craft the show moment by moment and will use this time to study lines, write, read, rehearse on the side. Tomorrow is our last day in the rehearsal space. We will have a run thru of the show and notes and at the end of the day we will crack a few bottles of wine toast a very good week of rehearsals. Then we take two days off and on Tuesday we begin rehearsing onstage at the Delacorte Theatre. We are primed and ready. Monday night after rehearsal I hopped on a Citibike and chugged up to the Delacorte Theatre for a very special occasion. The Othello company had been invited to the Crew Barbecue. This was the moment when all the artisans, crafters, builders and engineers who make Summer Shakespeare in the Park possible, gather and eat and drink. For some it’s a moment of relaxation as they look toward completing the first stage set of the season. For others it’s a chance to get acquainted or re-acquainted with the team who will run the show that will happen on that enormous and beautifully crafted set. For folks like me who get to privilege of playing on that set in that venue, it’s a chance to begin saying “thank you” to the cadre of smart, talented, dedicated people who audience members often never see or sometimes glimpse. My thank you began before I even arrived when I stopped off at a liquor store for a bottle of Jameson to offer my beloved coworkers upon my arrival. When you go to a movie and the credits roll, if one stays to watch they will see hundreds of names scroll by. Those folks did fantastic work on that film months ago. Many are already working on another film. On a show like ours the crew is present, in the Theatre every night. The crew is first to arrive, last to leave. Wardrobe runners are cleaning, repairing and prepping costumes, as well as tending to the laundry that is generated by a large cast playing an outdoor venue. The sound crew is testing and maintaining the mixing board, amplifiers, computers and body microphone systems that are crucial for creating the best possible audience experience. The lighting crew is keeping the lights on and keeping up with the wear and tear that plagues a light system that is exposed to the elements. The props team maintains the props that are used throughout the show. Every “message sent from Cyprus” or “taper guarding ‘gainst the gloom” is a prop that must be crafted into existence, catalogued, stored maintained and set out on prop tables strategically placed near the many entrances to the stage. Many props must be replaced nightly and some props are so important to the show that the story cannot go on without them. Where would our show be if Desdemona’s handkerchief were not carefully placed and ready for her when she needs it? The electrical system in the Delacorte is vast and rather intimidating, that is to anyone but the skilled crew that keeps it running. Stage management is at the center of this enterprise. The production stage manager is the boss of the show and all of the department heads will coordinate with the PSM on any issue show related. The Stage Manager is on the stage itself and in constant contact with the PSM who runs the show from the Booth at the top of the seating area. Assistant stage managers are stationed at key points around the stage passing on communications from the SM and PSM and making sure that all goes smoothly throughout the show. They do this in a very hands on way, helping to move set pieces, clear props and furniture away or to entrances, helping actors get sorted out prior to going on. They must be alert and aware at all times. There are other teams at work who have a big part in making the Delacorte experience great. 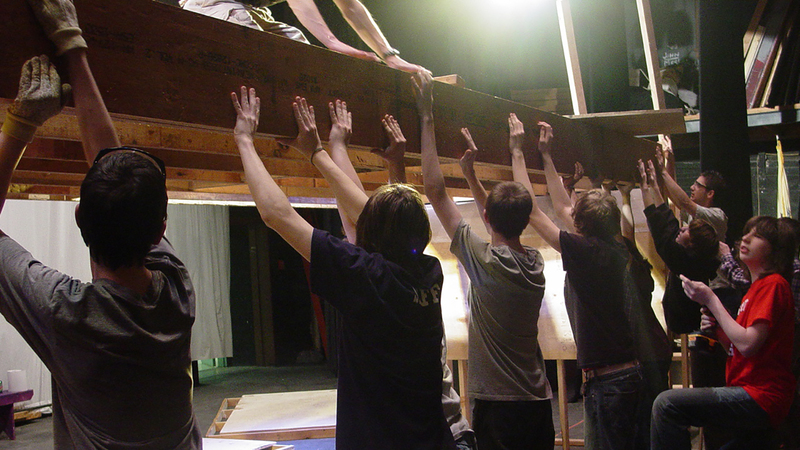 The front of house crew is the team who greets the audience and helps them find their seats. The concessions team is there selling snacks and souvenirs, and of course there are the actors, putting on a play. A further note on props. Twice in my career I have been caught on stage without a crucial prop. Both times it was my own fault. Once, in a production of Twelfth Night, while playing Malvolio, I went on stage for the climactic scene where confront Olivia with a letter that I thought was from her… without the letter. She and I have speeches, in verse, referring to the letter, the nature of the handwriting. But we had no letter to refer to. We got through the scene, it wasn’t pretty. Another time in a production of Romeo and Juliet, I was playing the noble County Paris, and was entering the tomb where Juliet, whom I believed to be dead, lay and where I would be attacked by Romeo and, after a brief swordfight, killed. I’m sure you have already guessed that I forgot to take my sword with me. I spotted my mistake and in a very clumsy improvisation, left my attendant alone on stage holding a torch while I sprinted back to the tiring house to retrieve my blade. The show went on, and to this very day I still get teased about that gaffe from time to time. To sum up. You can put on a play in your living room without a crew, but to put on a SHOW, you need the help of many, dedicated experts. Oh, and to any actors out there reading this, before every entrance check your fly and check your props! At our run through yesterday, our director invited us to test the limits of our passion, to forget about meter and scansion and poetry and to put our focus on the humanity of the story. I took his note to heart as did most of the company and we tore through the play with spirit and volume and emotion and intensity that had us setting a time record for the telling of the story. I must confess that I bruised my voice a bit in my part of the narrative. I pulled out all the stops and challenged all my choices against the highest level of passion. And the decisions I’ve made stood the test. But I found that there were moments that were run together, ideas that were forced to stretch over too many words. I realized that I must go back to the text and find more ideas, more details in the painting of the part of the narrative I tell. When I got home after rehearsal I took a look at the text and set my intention. I would dial back the passion and seek out the moments the live between the moments I had already discovered. Like any good actor/yoga student, I sent my intention for the next day’s rehearsal. Not long after that I received my rehearsal schedule and found that I was slated for a 45 minute session with our voice coach Julie Congress. Julie is a crucial part of our team. She works with us not only on vocal issues, but also on our nuts and bolts choices on how to actually speak the lines we are given. There is not a classical actor on the planet that does not rely on the skill and expertise of a voice coach. The work they do on our behalf is indispensable, and when done well, invisible. We went through my part word by word, idea by idea, sans emotion and in a dispassionate manner, finding the extra ideas that I knew I were missing. We talked about where to breathe and which ideas to play up more than others. We began to modulate my performance at a level of detail that you don’t get at the Idaho Shakespeare Festival. (Sorry Idahoans, but I know that Julie has never worked with you). She gave me a very interesting exercise. She handed me a paper and pencil and asked me to sketch what I saw out the window as I spoke my lines. I had never done that exercise before and dived into it head first. It lead me to all manner of new choices and ideas about my role. And in the end, I had a pretty fair sketch of the building across the street from the rehearsal hall. Yes Julie is young enough to be my daughter, but her wisdom in the realm of voice coaching has me sitting at her feet, eager to learn. Please note, that Julie teaches at the Stella Adler Conservatory. 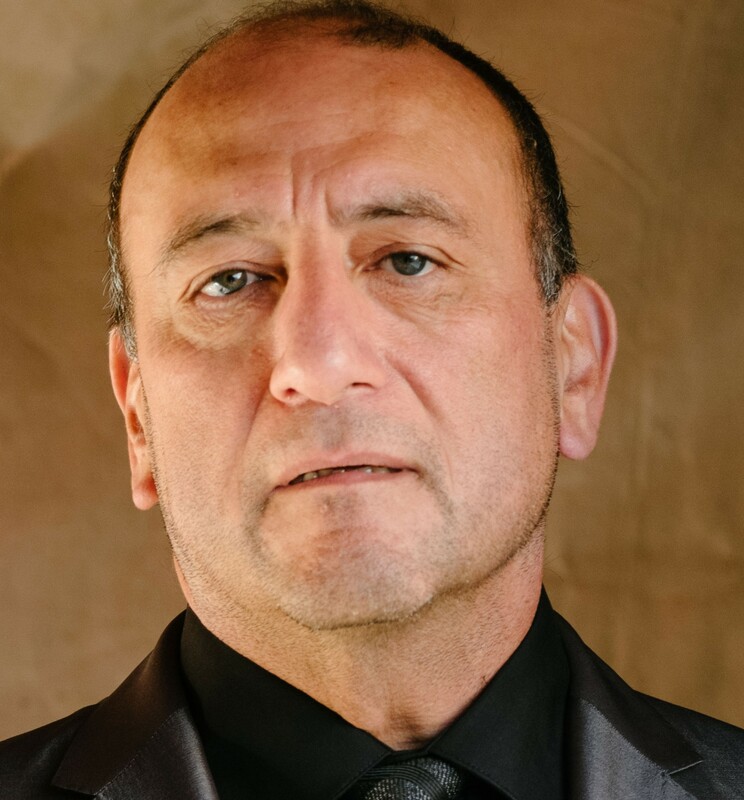 My teacher Mario Siletti was a student of Stella Adler and later was the head of faculty at that august institution. When I was a student at the National Shakespeare Company conservatory, a fellow student named Angela Vitale went on to become a teacher at Adler. Even though Julie and I had never met, we had been trained in the same way and spoke the same language. That our session would be fruitful was a fait accompli. Needless to say today’s rehearsal was a success for me. I was more at home in my role than I have been to date and I made flood of discoveries that represented a true leap forward in my progress in this role. Tomorrow is about solidifying what I’ve learned and preparing for the next step. Sometimes we have to step back in order to move forward. Well today, 2 steps back earned me 5 steps forward. I’m not at performance level yet, but the path is clear and the momentum is there. I was not alone in this leap forward. The entire company, especially Corey Stoll and Alison Wright, took the work to a new height today. They did it not with sound and fury but with intellect and insight. I am so proud to be playing with this company. I love you Oscar, and I hope you enjoy where we are at tomorrow. No doubt we’ll be much further along come the night.